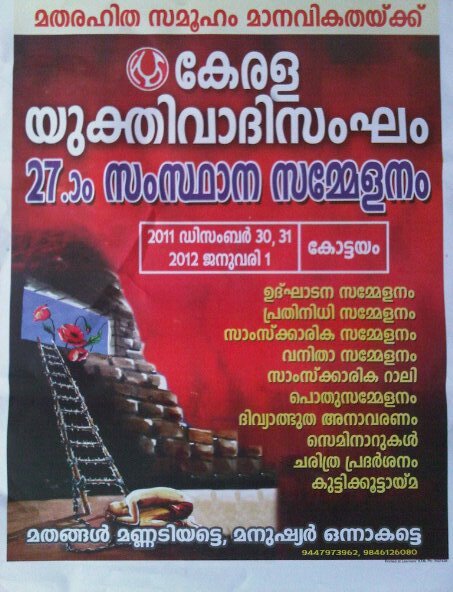 Celebrating the 45th anniversary of its formation, KeralaYukthivadi Sangham ( Kerala Rationalist Association) is holding its 27th State Conference from December 30, 2011 to January 1, 2012 at Kottayam, Kerala. 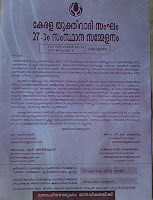 The association had its genesis in a rationalist group formed in 1935 under the leadership of Panampally Govinda Menon and MC Joseph who brought out the journal Yukthivadi for about half-a-century. 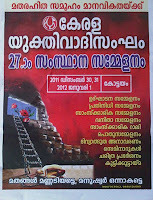 “Kerala is today witnessing the revival of various reactionary forces. Caste and religion based outfits are rearing their ugly heads again from the dustbin of history openly challenging the enlightenment values that the state once held aloft. 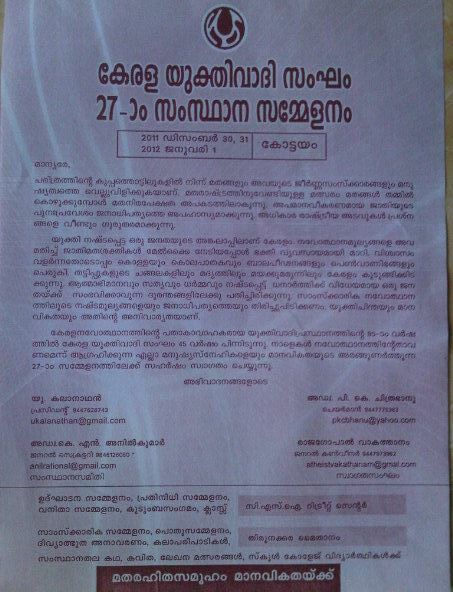 As the flag bearer of enlightenment in Kerala, it is our duty to regain the lost ground”, says a pamphlet issued by the association.